We all knew Nick Bonino was on his way out of town having priced himself out with back-to-back Stanley Cups but Darren Dreger reports his new deal comes from an unexpected place. In an unexpected move Bonino will be joining the Nashville Predators as they look to take win an extra two games in next year's playoffs. While the money hasn't been announced, Bonino will be in Smashville for at least four years. Confirming Nick Bonino is going to Nashville. 4/5 year term. We will update with term as announced. 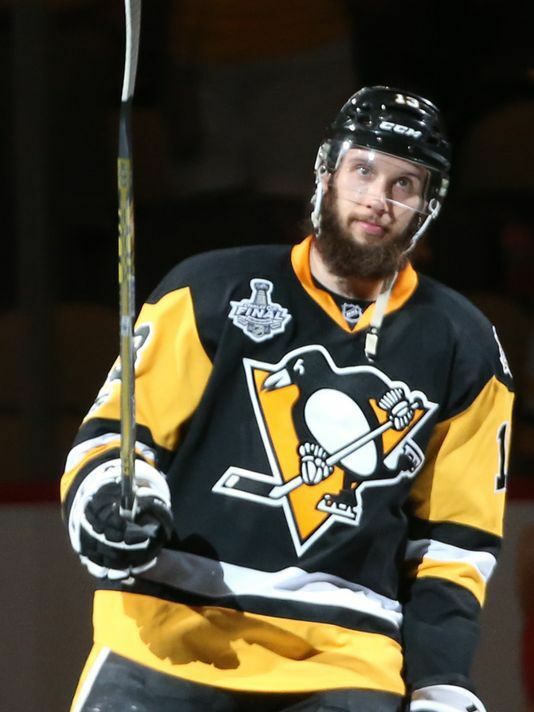 UPDATE: The Bonino deal is four years at $4 million per year. Official Signing: the Nashville Predators have signed F Nick Bonino to a 4-year/$16.4M ($4.1M cap hit) contract.